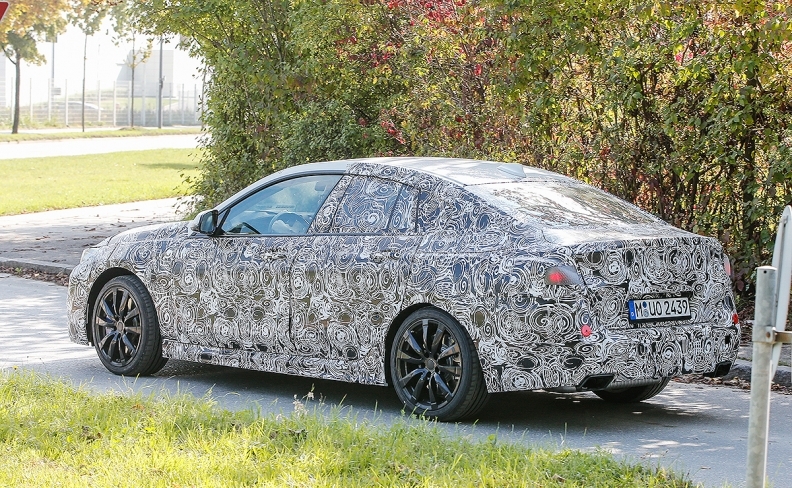 New spy shots seem to confirm that the coming 2-series Gran Coupe will be built on a fwd platform. BMW will turn to front-wheel-drive for a new four-door variant of the 2 series. New spy shots seem to confirm that the coming 2-series Gran Coupe will be built on a fwd platform -- the same platform that underpins the Mini lineup and the smaller 1-series sedan currently slated only for China. BMW's 2-series Active Tourer and Gran Tourer models are also fwd. The four-door 2-series Gran Coupe is also expected to come with an all-wheel drive option. The Mercedes CLA rival will be sold globally and is expected to be offered with an array of three- and four-cylinder gasoline and diesel engines. European sales will begin in 2019, with the U.S. getting the model a year later, according to reports. In the U.S., a 2.0-liter turbocharged four-cylinder paired with an eight-speed automatic transmission is likely to be the only powertrain option offered, according to Motor Trend. The move to fwd is a departure for the 2-series family in the U.S. market. The 2-series coupe and convertible sold in the market are built on a rwd platform; awd is optional. They are expected to be redesigned in 2022. The 2-series Active Tourer and Gran Tourer models are not offered in the U.S.